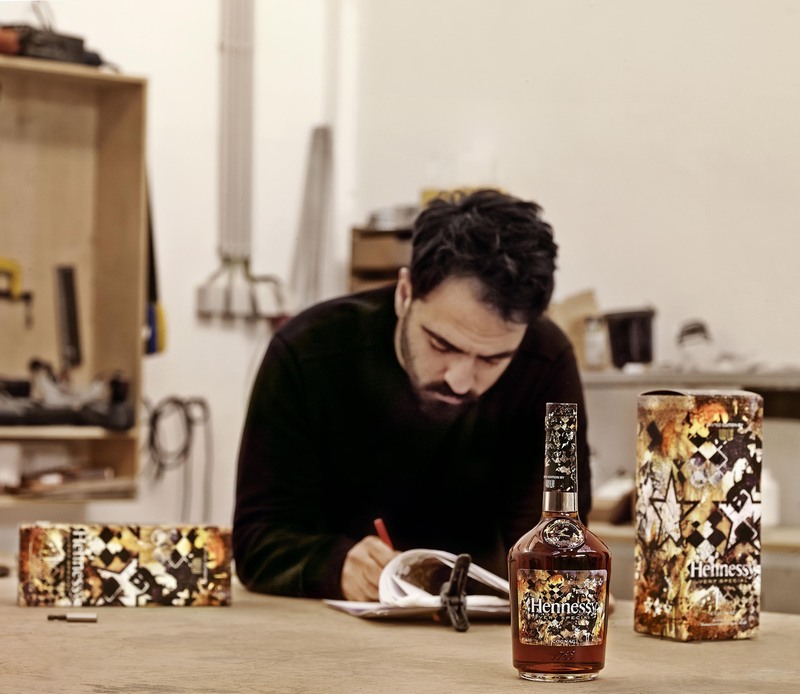 Hennessy, the world’s best-selling Cognac, is proud to announce its collaboration with urban artist Alexandre Farto – aka “Vhils” for the 2018 Very Special Limited Edition bottle. As part of his worldwide tour with Hennessy and to celebrate the collaboration, Vhils will be in South Africa 23rd-26th July 2018. In continuing his theme for the 2018 Very Special Limited Edition bottle, the art-world phenomenon will bring to life the art of ‘Making the Invisible Visible’ with the construction of a South African icon who has embodied the spirit of Hennessy, Never Stop. Never Settle. This historic portrait will be revealed at an exclusive event amongst other art experiences he will also be engaging with the locals. In an ongoing series of innovative collaborations between Hennessy Very Special and several internationally renowned artists, the custom-designed, eighth edition bottle is rooted in the Vhils motto of “Making the Invisible Visible,”. With the 2018 Very Special Limited Edition, the artist explores layers of meaning in a unique, global art experience. Drawing on his pioneering screen print technique, incorporating quid ink, bleach and acid on paper, Vhils created a vibrantly textured piece, splashed with black and shades of amber – reminiscent of matured cognac. He layered all of this on a backdrop of fragments of historic Hennessy billboards and symbols such as the grapevines, the Hennessy coat of arms, and the Three Stars which originally distinguished Hennessy Very Special in the cognac grading system Maurice Hennessy innovated in 1865. On the surface, Vhils is a Portuguese street artists turned art-world phenomenon, but he is much more than that. Vhils is sui generis: innovative, visionary, in a class by himself. Distinguished as the great disrupter of his generation, the celebrated urban artist is often described as an “urban archaeologist” who gleans inspiration from growing up in the fast-changing capital of post-revolutionary Portugal. Having established his signature on city walls, Vhils quickly moved on to pioneer a new form of urban expressionism through monumental portraits cut, composed, chiseled or exploded from built-up layers of paint or paper, stone, wood, steel or concrete and infused with the color and energy of the hip-hop music scene. For Hennessy, Vhils’ approach to his art is a fitting metaphor for the art of cognac-making: both rely on the unpredictable, immutable force of time and elements. For each, the creative process is a poetic quest to make the invisible visible.